The job market is getting more complex and dynamic. In a way this perhaps makes it more difficult, but I prefer to think it makes it more exciting. But entering a career without a strategy could cause you to end up living for someone (nobody?) else’s goals and dreams. Following these 5 steps will help set you in the right direction. There are numerous myths or misconceptions in the Job Market. It is important to identify these, to ensure you understand the”rules” to play by. Employers select the best candidates to interview – It is actually generally a negative selection process or exclusion, in a negative selection process people focus on what they don’t like rather than what they do. They are looking to exclude candidates who look risky, so assume someone is only going to look at your CV/Application for 10-30 seconds. Less is usually more. You should follow your Passion – Most people don’t know their passion and Passion sometimes gets confused with interest, so is best left to being a hobby. Passion can be developed as it often follows mastery. A lot of people start the job search, by typing their studies, experience level and job. Firstly, this is probably the most used approach. So the top 10 links are going to be what the 10,000s of candidates who meet the criteria are trying and the same 10-20 links are all going to be funnelling all those people in. Secondly, it sells people short. People are more than just 2 words. They have more to offer, more skills, more interests. So in my coaching, I recommend that time is taken to work out what their priorities are. Then their principles and values. Finally they should look at what they are selling (or marketing if you don’t like the term selling), so interests, attributes, experience, aptitudes. During this process identify areas they would like (need) to develop. This should be a balance between future roles and your next one. Firstly, consider the broader characteristics of a job, this may have little or nothing to do with the actual title, industry or company. Start with categories like – Type of company, Location, Commute, Size of company. Then look at what you do including responsibilities and approach such as Intellectual challenge, Variety and Purpose. Also consider what other factors that are individually important. Secondly, look at job profiles. Find roles that are of interest(think out of the box and take some time to explore). Perhaps find people on LinkedIn with that role, see how they got there. Write down what it is liked about the profile, what key attributes the employer is looking for and examples of how these attributes could demonstrated. Thirdly, consider what Career Capital is needed to be built up. There will be attributes that are not currently met for that dream job. So a development plan will be needed. This could be developing experience, getting training or perhaps taking a feeder role. A key and often looked aspect of the job hunt is the likelihood that statistically people are going to be rejected far more than selected. 1,000 people applying for 5 roles, with a negative and subjective selection process, the 5 chosen are unlikely to even be the best candidates. So at this stage, the first thing recommended to do is to develop a resilience to being uncomfortable. Such as handing out takeaway menus outside your local kebab store. “The size of your life is in direct proportion to how uncomfortable you’re willing to be.” – Jon Levy on Lewis Howes’ podcast. The second step is to write an elevator pitch(es) which is readily at hand, perhaps when bumping into an acquaintance who can help, provided it can be explained to them clearly and coherently what it is that is being targeted. What you do or want to do? What makes you the best for this? Next key step is to tidy up your digital footprint and create your CV. See resources below. One the best and most under utilised ways to get a job is by using your network. It is actually incredible how many people get jobs from acquaintances (note, not friends or family, but friends of friends). So the first thing to do is create a network inventory. Then make a commitment to ensure it is utilised with respect and integrity, especially if people are putting their reputation on the line. Identify someone who could potentially help, send them a brief note explaining the situation position and ask them what they would do. I prefer not to ask them directly for help, by asking what they would do, firstly give them the option to politely decline, secondly mentally they will step into your shoes and consequently operate with more empathy. The next thing to do is to start applying. One thing to keep in mind, is that questions tend to repeat themselves, so for every question completed, keep a copy of the response in a separate document. This gives a reference if progress is made to the next stage and helps complete applications more efficiently. Another benefit is that the questions may be in the application form for one and the first interview for another, so if it is written down, preparation is easier. I would also suggest, don’t start with your best preferred option. Answers tend to get refined over time. Lastly prepare some questions for them. The purpose is show you care and are prepared, not to “catch” them out and show how “clever” you are. 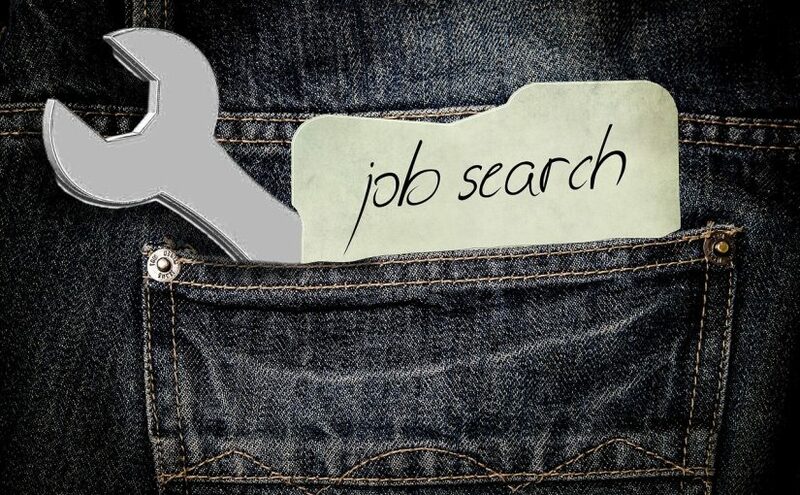 Follow these 5 steps and you are far more likely to get your target job quicker. For a deeper insight, more resources and guidance to developing a strategy, see the resources below. OPTIONAL RECOMMENDED STEPS – Create Development Plan and Application Tracker (2 applications can quickly become 20).